"This recipe can be changed to what you like. Add more apples, lower the amount of carrots; what have you." Juice the apple, pineapple, carrots, ginger, celery, and beet in a juice machine. Sweeten with sugar if desired. 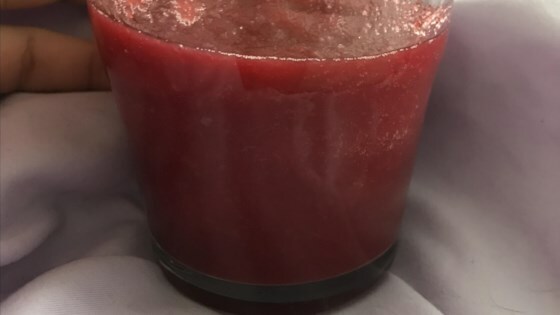 A refreshing tropical juice with pineapple, ginger, beets, and more! absolutely no need to add sugar like the previous post said. simply add another apple and you are good-to- go! I also tweaked this recipe a bit. I used a small beet because they are sweeter. I left out the ginger and the sugar. If you want it sweeter I would just add more pineapple! Very good. This is a very easy juice to whip up in the blender! I love the ginger, it adds zing to my typical breakfast smoothie! I'll be making this again! I just made this. Substituted cucumber for celery. The only thing I regret doing was using the ginger. It overpowers the whole drink. If you must use it. I recommend halfing it.